Sign up for our weekly email newsletter, The E-Courier. 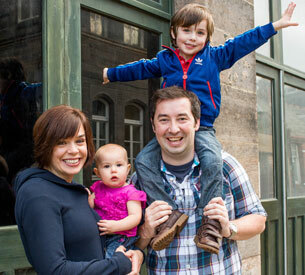 Edinburgh, ScotlandAthole & Rosalynd Rennie are planting Grace Church Leith in Edinburgh, Scotland. Pray for energy and wisdom for their church family as they nurture the many young children in the church – currently a third of their church is under the age of 9. Pray for their witness in the city as they seek to reach out with the good news of Jesus in a secular context. Pray for continued peace and unity in their church.